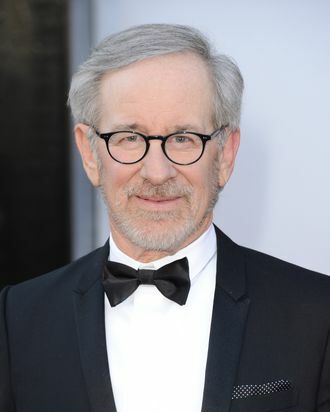 Steven Spielberg has signed on to direct American Sniper, a movie based on the best-selling autobiography of Chris Kyle, a former Navy SEAL. According to THR, Bradley Cooper will star and produce. Kyle’s book, American Sniper: The Autobiography of the Most Lethal Sniper in U.S. Military History, traces his life from his childhood in Texas up through his four tours of duty in Iraq, during which he killed more than 150 people. (Kyle died earlier this year after a fellow veteran shot him at a gun range.) Now Spielberg can check the Iraq War off his war-movie list, after World War II, the Civil War, and, of course, the War of the Worlds.